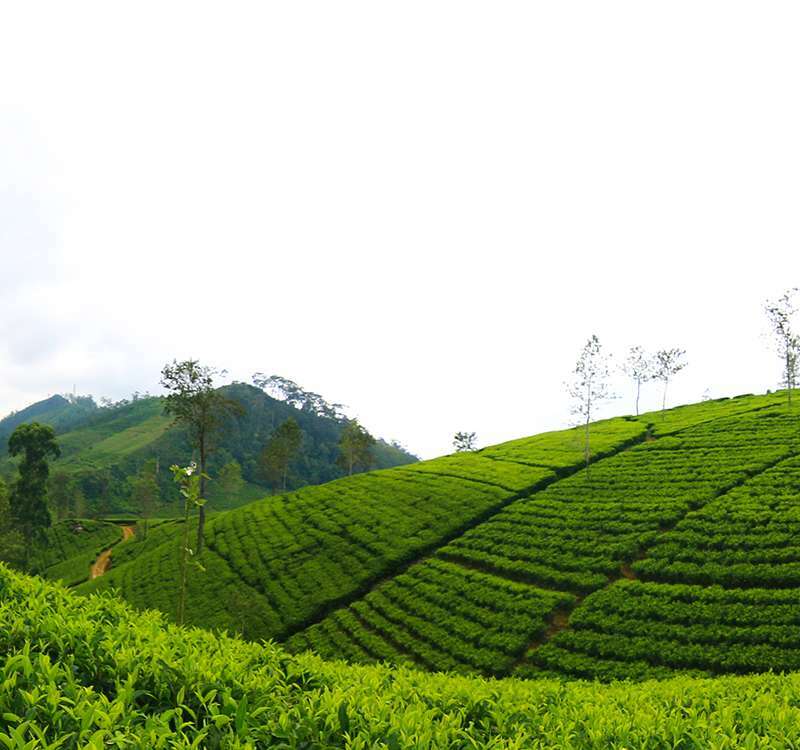 Bogawantalawa Tea Estates has been producing the finest Ceylon Tea since 1869 from the Golden Valley located in the central hills of Sri Lanka. Situated at an ideal elevation of 3,500 to 4,800 feet, the tea estates are blessed with the perfect micro climatic conditions and rich soil composition, all combining to lend the teas their unique qualities. Harvested at precise times and carefully handpicked by nimble fingers, the tea at each estate has its own distinctive flavour and aroma that unlock the rich essence of this heavenly brew. Bordered by forests and overlooking the Castlereagh Reservoir, Norwood Estate lies tucked away along the ridge of Bogawantalawa. This unique position in the valley along with the ideal microclimatic condition enable us to produce a unique flavour that is honest to its origin. The carefully handpicked buds of tea produce a bright, golden yellow liquor with an orange depth that has a smooth strength and a hint of wild honey. Bridwell Estate also known as “Bogawana” lies tucked away beside a peak wilderness on the east and is bordered by hills and valleys. Experiencing two monsoons, the tea from this estate produces a full bodied liquor that is robust and brisk throughout the year and sits deeper in the cup; these teas are rich in colour, possessing such enviable characteristics that make it ideal with milk. Located in the upper reaches of the valley, Campion Estate is surrounded by pristine rainforests that extend up to Horton Plains, a World Heritage Site. The estate is renowned for its handpicked tea that features a sparkling liquor with a golden ochre. This full bodied tea which is rich in both flavour and aroma offers a unique rejuvenating brew of the highest quality and one that also mixes well with milk. Dating back to 1843, the Kotiyagalla Estate was the site of the Golden Valley’s very first factory. Skirted by peak wilderness and enjoying wet climatic conditions, the estate produces fine quality tea that features a unique reddish and strong bright liquor with a golden hue. Ideal as a morning refresher and best enjoyed with milk, the tea has a distinctive flavour that has made the “Kotiyagalla” mark world famous. The Loinorn Estate bordering Horton Plains is uniquely cocooned amidst the cool blend of easterly and westerly winds. This contributes to the unsurpassed and exclusive “Loinorn” mark with a special aroma attributed to “Uva” quality teas. Delicate on the palate and best drunk neat, this exquisite tea produces a light liquor that is golden yellow with fruity notes and lingering sweetness. The Tientsin division of Bogawantalawa Estate is named after the Chinese village from which the original tea seedlings were brought. Surrounded by the plains and peak wilderness, the tea inherits its special characteristics from the climate and rich soil that produce a unique flavour true to its origin. The liquor is red in the cup with a balanced body that has floral notes and transforms into a sparkling liquid gold when brewed.